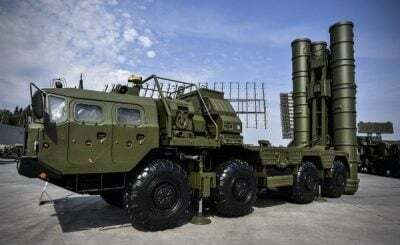 Russian forces deployed in Syria, including S-400 and Pantsir-S1 air defense systems and Sukhoi Su-30SM multirole fighters, have been put on a combat alert, according to reports appearing from local sources in the country’s provinces of Tartus and Latakia where Russian military facilities are located. Meanwhile, the Israeli TV channel i24NEWS claimed citing US officials that the US military is going to provide President Donald Trump with “a set of options for carrying out strikes against the Syrian government”. “Both the Joint Chiefs of Staff and CENTCOM, the US forces in the Middle East, were compiling target lists and attack options to be presented to Trump and his national security team within hours, the officials said,” i24NEWS wrote. A few hours earlier, a group of Israeli top officials and public figures officially called on Trump to conduct missile strikes against Syrian government forces in response to the alleged chemical attack in Douma. In turn, Trump forgot that no confirmation of condicting the attack by government forces had been provided and claimed that “Animal Assad” will pay a “big price”. He also blamed “President Putin, Russia and Iran” for the incident. The conflict Syria is on the brink of another large-scale escalation. Military intervention under false and fabricated pretexts in #Syria? ?, where the Russian servicemen stay at the request of the legitimate government, is absolutely unacceptable and may trigger the gravest consequences – @MFA_Russia? ?